Today we say goodbye to a very dear friend. No, she’s not “gone”, but Truddle is leaving the DrGreene.com Team after fourteen years and we couldn’t let her move-on to the next phase of her life without acknowledging what an integral part she has played in the lives of parents around the world, thanking her for her devotion, and telling a few stories. MsGreene and I first met TruddleBug (Beverly Richardson) in 1997. We were writing and hosting pediatric content on DrGreene.com (mostly Q&As), but we weren’t doing any kind of community. ParentSoup invited us to chat on their site to answer questions live for parents. Immediately we were greeted (online, of course) by NurseTruddle who was then the Community Manager of ParentSoup. Over the next few years we spent hundreds of hours together laughing at funny parenting stories, crying together over tragic losses and answering thousands of pediatric and parenting questions. A few years later we left ParentSoup and joined the team at adam.com. As luck would have it, Truddle had also left ParentSoup, so when we were asked who A.D.A.M. should hire to run their community, we knew the right person. At first they were reluctant to hire someone who didn’t live in San Francisco, where adam.com was headquartered, but we convinced them that they wouldn’t find anyone better. Of course we were right! We launched Community at adam.com with a crazy 24-hour straight chat. Several of us gathered at the A.D.A.M. offices in San Francisco for the event and that is the one-and-only time we’ve met Truddle in person. During our short tenure at adam.com the Community garnered a Webby Nomination with many thanks to Truddle’s work. I’m convinced the only reason adam.com didn’t win that year was because they pulled their nomination — part of their shift in business away from an online offering toward a content syndication model. In 2000 MsGreene and I had the opportunity to start our own Community on DrGreene.com and we leapt at it, taking Truddle with us. For the past fourteen years Bev has been at the core of all we do. Her title has gone from Community Manager to Site Manager, but titles don’t capture all she’s done – she’s run our forums, chats, and Facebook communities, she’s coded more pages than any of us care to count, she figured out how to get rid of pesky bugs that keep readers from being able to do what they want to do, she’s moderated comments (and at one time, even moderated ads, but that’s a different story). For years, she’s been the first one up in the morning to check on the site and make sure it’s still running. For those of you who don’t know her, she’s historically a very, very early riser. But more than anything, she’s believed in what we do here – help parents. Thousands and thousands and thousands of parents. 85 million and counting. Even though Bev may not be involved in the daily running of DrGreene.com after today, her work here will keep going and for that we are extremely grateful. It’s hard to let you go, but on behalf of all those parents you’ve already helped and all the ones who will be helped in the future by the work you’ve already done, instead of goodbye, we’d like to say thank you. After being with DrGreene.com for so many years it will be an adjustment for me to not just jump in and get things done that need doing. 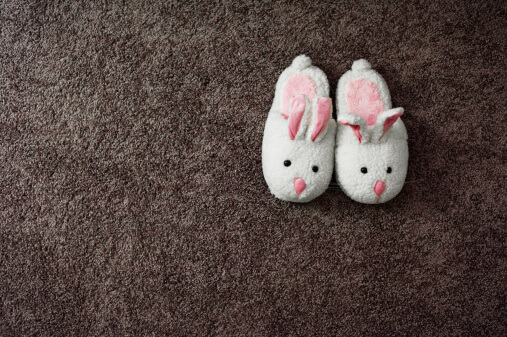 Although I have put my bunny slippers aside, know that DrGreene.com and all the wonderful people here will always be a part of my heart. that now; you will realize I did agonize over the move, but did not step away lightly. children everywhere and the compassion you show to parents is nothing short of amazing. I know you won’t want me to go on and on here so I won’t. You have made a big difference in the lives of children all over the world and eased the mind of many parents, but you also need to know you have made a difference in my life! Beverly – to me, you are synonymous with this site, so I will definitely have to adjust to not exchanging emails with you about article reviews, along with a snippet about what’s going on in our lives. I wish you the best as you embark on your future adventures! Beverly, we will miss you so much! Thank you for your many years of service and outstanding work! Hugs! Bev, Congratulations and good luck in this next stage of your life. It was a pleasure to work with you and I could always count on the right advise. But…….who am I going to call on now when I forget a password ??? Take care and enjoy your new life. There really is life after work ! Beverly, I know you, but I didn’t know about Truddlebug! You’ve been SUCH a part of SUCH an important revolution. Bless you, and DO enjoy some rest! And keep tweetin’! Oh Bev! Fourteen years?? How did we get this old? Keep in touch with us old Soupers, please. HUGS and best wishes. Hey Beverly, very sad to see you go. It has been absolutely wonderful working with you. Even having worked with you for just the last couple years, I can tell what a huge impact you’ve had in making the site as successful as it is today, and I know how much you will be missed. Your work on the new site was absolutely fundamental to us being able to help out in the first place. Thanks so for working with our team to make it happen! Beverly I can not adequately express how much you’ve helped me over the years — both professionally and personally. If ever I’m in a bind, I can count on you to come along and remind me to just B-R-E-A-T-H-E. And how many times have you told me to believe that it would all work out. I’m really happy that now you really do get to B-R-E-A-T-H-E … and take long walks, and soak in hot baths, and garden to your hearts’ content. Beverly, when you were preparing to tell me that you would be leaving you said, “You’re not going to be happy with me.” But here’s the truth, as much as I will miss you, I’m very happy FOR you. I know you will stay in touch, so this isn’t goodbye, just a great big thank you for all you’ve done! Cheryl…B-R-E-A-T-H-E … you can do this and yes everything will work out – you and I both know this. I gave up saying goodbye many years ago, and now prefer to say Cya Later…. Goodbye to me is to final. You know where I am if you need me!